Guten tag! Hallo, Ich studiere und arbeite in Deutschland. If that doesn’t make sense to you, don’t worry. It didn’t make sense to me two months ago either. Translation: I’m studying and working in Germany (four weeks wasn’t enough to learn the past tense in German). I was fortunate enough to become one of the Ruhr Fellows this summer to represent Penn abroad and learn more about German engineering and business. Mike S., another M&T junior was also part of the program. The Ruhr Fellowship program is a two month program created by the ConRuhr and sponsored by the Initiativkreis Ruhr GmbH (http://international.rub.de/gaststudis/programme/ruhrfellows/index.html.en). All of this basically means that the once coal-focused Ruhr region is transitioning to a research and industry region within Germany and wants top talent to be a part of this industry growth. The Ruhr Fellowship program does just that by engaging engineers from Penn, Princeton, MIT, and Harvard through an academic-cultural experience followed by an internship at one of the top companies in the region. Upon arriving in Germany at the beginning of June, I immediately noticed one key aspect of German culture: efficiency. Naturally engineers fit in well in a country that is driven by finding the most efficient process for everything in life. With some German heritage in my background, I can see the origins of some of my habits in planning and preparing aspects in my life. The first month of the program contained the academic-cultural experience which involved company visits, German language classes, cultural seminars, lab visits, and academic discussions. I will most likely never have the chance to participate in most of these experiences again. How often are you able to go a mile underground in a coal mine elevator shaft, ride a monorail through the underground tunnel system of a coal mine, see the earth falling off before your eyes (with the help of a six ton machine), have 900 tons of earth above your head, and then leave the mine with a piece of coal you found on the ground that was buckling under pressure? 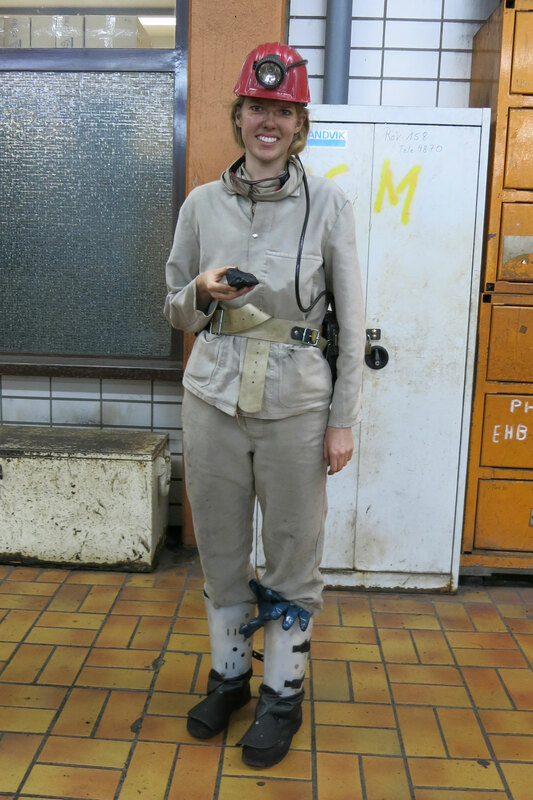 Or what about having 200 tons of molten metal pass ten feet in front of you in an oversized bucket so that you could feel the heat through your jacket? Or what about being featured in an article in the largest German tabloid and seeing the printing process from giant roles of paper to delivery on the truck beds? As a bioengineer, most of the company visits were not something that I will be focusing on in the future. However, by learning about these companies and other engineering disciplines in a hands-on manner, I’ve been able to expand my engineering and business knowledge past the boundaries of bioengineering. Through the lab visits and academic discussions, I was able to learn more about the different ways to bend metal with electric current in mechanical engineering or learn about embedded systems from electrical engineering. This broadens my engineering knowledge and will allow me to better understand bioengineering from an interdisciplinary approach. The second month of the program involved the internship portion. 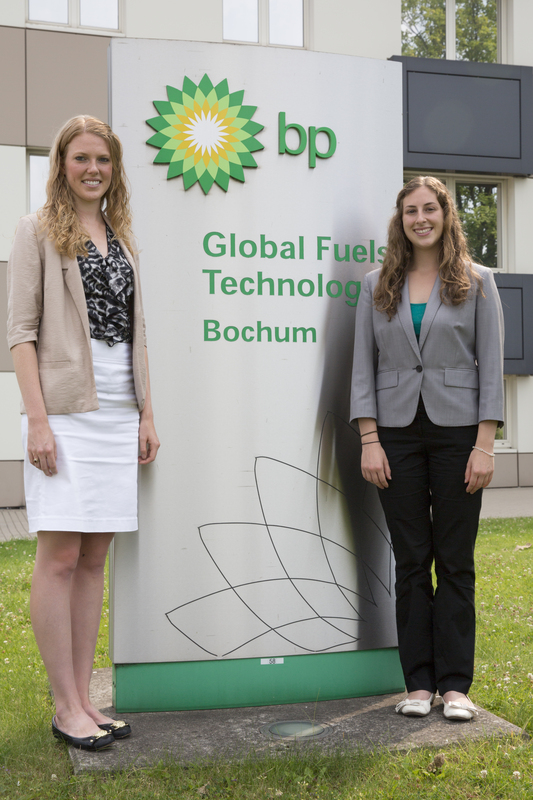 I worked at BP in the Global Fuels Technology location in the Quality Assurance and Technical Support team. I started at the beginning not being able to tell you the difference between gasoline and diesel and now I can describe most of the Fuels Value Chain of the Rhine Region covering BP’s fuel supply for ten European countries. I’ve been able to use my technical background in engineering to understand the chemistry behind a fuels quality incident or behind the tests performed in the lab while applying the supply chain management I’ve learned in Wharton classes to help optimize solutions to quality incidents. Even more important than the academic and professional aspects of the program, I’ve been able to learn about and live in a new culture. It’s interesting to compare school systems, grocery stores, and everything in between with the German students we met in Bochum, Germany. Most things are not drastically different (except Germans always wait for the walk light to appear at a stoplight). Learning about a different culture gives you the opportunity to question your own and question the standards and values that are innate within you just from growing up in the culture. I would highly recommend this program to students after their freshman or sophomore years. It was an incredible experience to be able to work, travel, study, and explore entirely new countries, industries, and cultures. Cathryn is a current M&T junior in the Class of 2015. She studies Bioengineering within Penn Engineering and has yet to declare her concentration in the Wharton School.